Route optimization software saves you money on gas. It also improves drivers safety, so you can avoid all the financial consequences (property damage, legal fees, etc.) of getting into an accident. 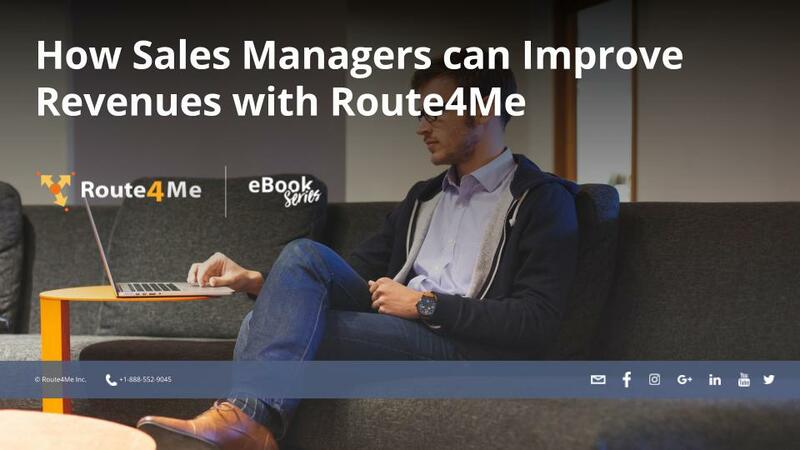 In addition to reducing expenses, Route4Me also allows you to make more revenue. More efficient routes means you can serve more customers and expand your business without hiring more employees. Route4Me allows you to assign a color to each of your stops/potential customers. You can use this feature to prioritize which prospects are most worth your time and effort. For example, you can use the color red to mark hot leads and blue to mark cold leads. For a full tutorial on our color coding feature, check out this post. It doesn’t make any sense to give your sales reps routes that take them across your entire service area. Instead, you should break your service area up into different territories. Your reps will be able to visit more prospects every day when all their stops are close together. Route4Me makes it easy to create and manage territories. Just draw the territories you want over a real-world map, assign drivers to the territories, and you’re done. This is especially helpful for when you need to make a last-minute change to a route after your drivers have left for the day. In this case, you can send new directions to the driver without having to distract them with a phone call.